I have been steering clear of reading about safety. More to the point, I have avoided reading comments that people make about safety. I haven’t had the energy. The ‘us and them’ mentality that has crept into what should be constructive discussion bothers me. I much prefer getting my energy from the likes of Humans of New York, Love What Matters, Susie’s Senior Dogs, Mr Erbil, Colossal and Cake Wrecks. And this is a shame, because I work in safety. I will always look to a diverse range of sources for inspiration and ideas but I wish that some of my sources included safety ones. There is a wonderful Malcolm Forbes quote “Diversity: the art of thinking independently together.” I find this to be such a beautiful idea. I have been giving diversity and inclusiveness some thought lately. Reflecting on my career I have been thinking about my experiences. I feel they are in contrast to many other women in my profession. I was also annoyed the other day when a candidate who was interviewing for a safety role said that he brought a wealth of experience and would be able to guide younger employees. Maybe I am being hypersensitive but I see over and over again examples of people wanting to tell, but are unwilling to listen. Wanting to stamp their way of thinking on everything instead of sharing their ideas as part of learning, exploring and growing. Or worse, attacking others who have a point of view that differs to their own. So I started to look for articles on what makes an inclusive community. I came across a report written by Juliet Bourke and Bernadette Dillon titled ‘The six signature traits of inclusive leadership’. It talks about what they believe will be needed to be a great leader in the future. Surely the community of safety professionals should be viewed (and behave) as a leader for the future of safety. Commitment – Being inclusive of diverse ideas and approaches takes time and energy. Saying that, anyone of us should be able to make a business case for diversity. But to work it needs to come from a personal place. It’s about caring for people as individuals and a sense of fair play. Surely if we care about people we will listen to what they have to say. We will also ensure that everyone in our safety community has a place to grow, develop and express their ideas. Courage – Courage includes gently challenging people to see their behaviors and the impact they have on others. It is also the willingness to challenge entrenched attitudes that promote homogenous ideas and practices. There’s a vulnerability to being inclusive, because confronting others and the status quo immediately invites the spotlight to turn on the speaker. It is difficult for those in the public spotlight to admit they don’t have all the answers. Courage and humility therefore go hand in hand. I applaud those in our community who have had the courage to call out non-inclusive behaviour. I also applaud those people who acknowledge that they don’t have all the answers but offer up their ideas nonetheless. Cognisance of bias – We all have them. Personal biases, such as homophily (birds of a feather flock together) and implicit stereotypes and attitudes. Process biases, such as confirmation bias and groupthink. Confirmation bias is a big one for me. I naturally gravitate to articles and opinion pieces that advocate ‘safety differently’. I have to work at keeping an open mind about other approaches to safety. I feel that this is an issue for our community. Curiosity – Being highly inclusive means having an open mindset, a desire to understand how others view and experience the world, and a tolerance for ambiguity. With curiosity comes leaning and new ideas. It involves asking curious questions and active listening. It also requires withholding fast judgement which can stifle the flow of ideas. In the report Hayden Majajas puts it beautifully. “I think that religion is a good example at the moment. For example, if we are talking about religion in the workplace, it is one thing to be curious, but another to be able to suspend your own beliefs. Asking a question knowing that you could not change your beliefs under any circumstances—not in terms of taking on someone else’s religion, but in terms of what you think is right and wrong—is pointless. But temporarily suspending your beliefs enables you to learn more and to engage, and often that is the key to overcoming barriers.” If as a community we want ideas to flow then we must as individuals, suspend our beliefs about safety and listen. Cultural intelligence – This one is about recognising how our own culture impacts our personal worldview. Also, curiosity about cultural differences can help to eliminate ethnocentric tendencies that cause people to judge other cultures as inferior to their own. In the report Geert Peeters says “There is no one culture that is smarter than another. In recognising intelligence in each culture, your culture’s intelligence may not necessarily be used today for today’s problems, but it will be used tomorrow for tomorrow’s problems. There is no point in judging. We just need to bank all of these cultural differences to have a collective intelligence and to be able to use it.” What has this got to do with the safety community? Have you ever read comments such as ‘Bet this person has never worked at site’ or ‘Just another consultant trying to sell their product’ or ‘Academics pushing their point of view’ and ‘Where is the scientific proof for that’? Our community is comprised of a number of ‘cultures’ depending on how we got into safety, our backgrounds and our areas of speciality. Collaboration – “The new IQ is based more on group intelligence,” says Bruce Stewart. At its core, collaboration is about individuals working together, building on each other’s ideas to produce something new or solve something complex. But while collaboration among similar people is comfortable and easy, the challenge and opportunity is collaborating with diverse others. For collaboration to be successful, individuals must first be willing to share their diverse perspectives. At the end of the day isn’t this what our community is all about? Empowering safety people to connect with each other in the pursuit of diverse perspective so that as a community we can continue to improve safety and health in the workplace? While I will continue to seek out and read safety articles and opinions, I hope that I will see less of the non-inclusive comments and behaviours. 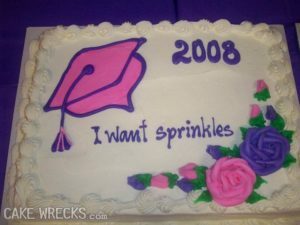 And if I ever feel disappointed I can always turn to Cake Wrecks which always makes me laugh. Great article Zinta, growth not fixed! Thank you Tony. I sometimes catch myself in having a fixed view with regards to safety. It can be hard not to when as professionals we are expected to voice our views, opinions and beliefs. Suspending your own beliefs can be very difficult. But I find that when I do, I open myself up to new ideas and ways of thinking. I don’t always change my views as a result but I usually can at least put myself in another person’s shoes and see where they are coming from. Great article! We cannot have accountability without inclusiveness. Keep writing Zinta! Thanks Rosa, it means a lot to me coming from you. 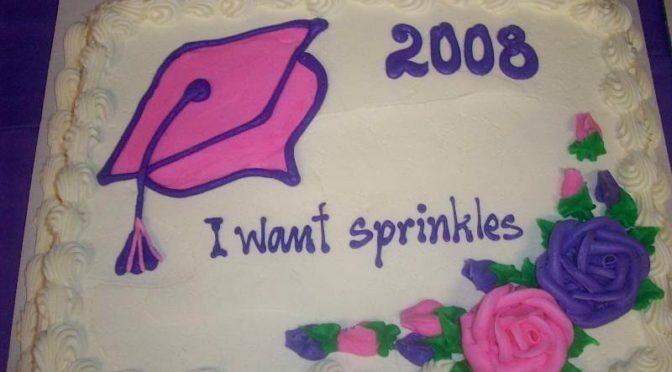 I have had a challenging couple of years personally and didn’t have the energy to also write. But I now have the writing bug back and the ideas are flowing. I will defiantly keep writing. Hi Zinta, I am with you. I read very little ‘safety’ genre. There is neither nothing new, helpful, critical or innovative in that sector as far as I can see. Indeed, if you look at the bibliography in any of my books you won’t find many books on safety. If Safety is to ever mature it must engage in interdisciplinary reading rather than regurgitate the same old paradigm in 10 different ways. Just have a look at the curricula in any safety degree or masters and see what they are reading, i simply get depressed. So, thanks for this piece, much needed. You’re welcome Rob. And it was so lovely to finally meet you last month. Our conversation gave me so much food for thought. Thanks for a great read Zinta. You bring up such an important topic. There are SO many valuable sources of information, particularly in the research conducted by other disciplines, that are so essential to our work. It seems self-evident that all things man-made eventually fail; that, as James Thurber said, “there are no exceptions to the rule that every rule has its exceptions,” and that humans are complex, adaptive and fallible beings controlled by an organ we apparently have little real control over. I believe we would all do well by better understanding the most valuable and irreplaceable components of any system: its people. Thanks again! Thanks Ronald. It is people and what it is to be human that I try to tap into when I think about safety systems. It is one of the things that I love about my job (I am currently in a safety management system role).